The day started out with a truck washing (6:30 am) so it wouldn’t be embarrassingly dirty for the big auction rescue day. We put some of the donated bedding on the trailer floor so the horses would have a pleasant ride back to the rescue. Once the volunteers, Debbie and Judy, showed up Tawnee and the volunteers headed out. They picked up Becky in Marysville and they were off to the auction! While at the auction Jason adopted Tuxedo Paints to a previously approved adopter. Unfortunately Jason was so busy with the paperwork that he forgot to get a picture. But Tuxedo has gone to a great home and he will be very loved. Somehow this appointment fell through the cracks so Jason had to do an unplanned adoption. Saturday we received a huge donation from Chris and Janet – $5,001.01! This donation was made for wherever needed most with a preference for the auction rescue. With the previous donations towards this auction rescue we had the largest budget we have ever had. 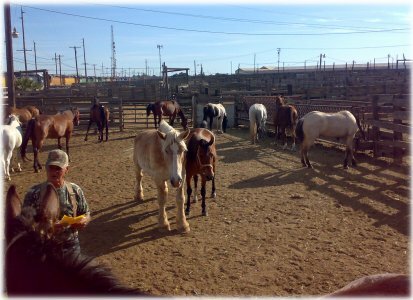 There were about 60 horses at the auction, and NorCal history was made: 23 horses were saved today thanks to the generosity of our supporters, and the killer buyers only went home with 6 horses! The KB’s faces were full of anger towards our staff and volunteers today, as we kept outbidding and outbidding them on horses. It was such a great feeling to ruin their day! 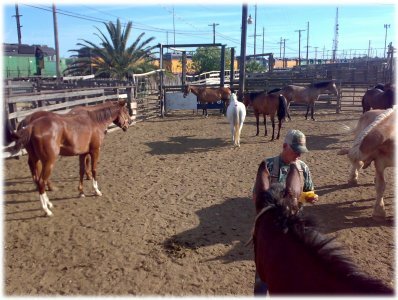 We would see a horse come in, and if they started bidding we would bid and they would immediately turn around and glare in disgust and anger. They probably wondered when we were going to run out of money and room, but, we had plenty of funds, room and hay (thanks to our recent purchase of 1024 bales) to rescue a record number of horses. 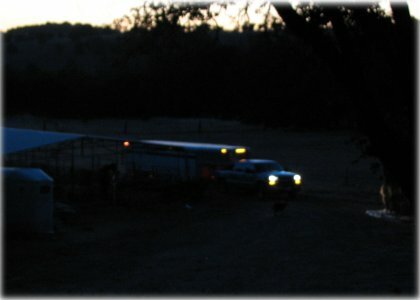 Many of the killer buyers went home with empty trailers. Their angry looks continued long after the auction out into the parking lot. Here are the pictures from the auction, please enjoy! 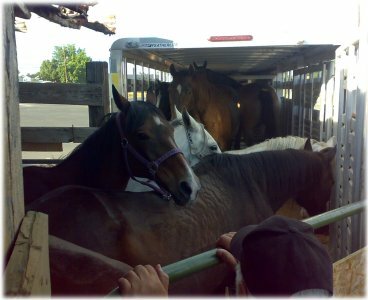 These two pictures only show 15 of the 23 horses we rescued today. It took us about 2 hours to get them sorted out. The black and white paint in the background is Tuxedo Paint’s half-brother who was at the auction last month, and we were unable to save, but this time he was saved! He had welt marks from being whipped and his body is covered in scrapes and bruises and he has lost a lot of weight since we saw him last month. It’s so sad that he went to the wrong home and was treated so bad. We saved all kinds today, here is a skinny Belgium that the KB’s wanted to buy, but didn’t. We had to endure their angry glares, but this guy is worth it! He’s so sweet. 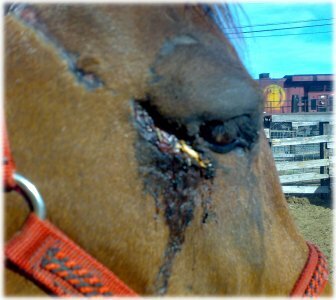 This horse has a terrible eye injury, but the eye does not seem to be affected. This leg injury goes from one side to the other. She’s just a yearling paint, a little thin, but the KB’s were getting desperate and wanted her. We were only able to bring 12 horses back tonight, we will have to make another trip down for the other 11. A huge thank you to Roseville Livestock Auction for donating the care for the next couple days. It was getting dark when we got back to the rescue, but they are all fed and watered and are settling in nicely for the night. We unloaded them and they were definitely happy to get out. 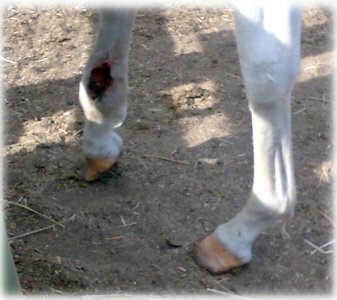 Here is the young paint with the leg injury. Eating happily. 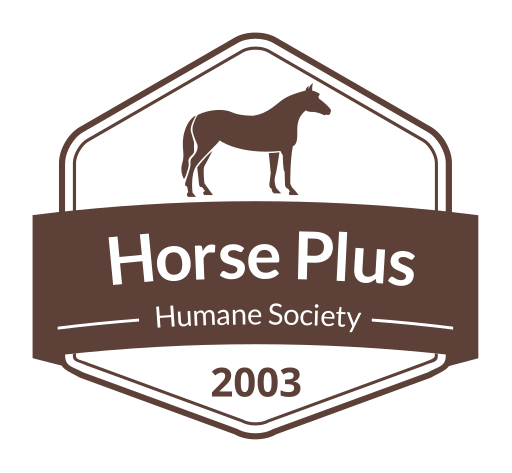 We cannot thank the donors enough who helped save these wonderful horses from a terrible fate! They’re happy now! Now for an amazing rescue story! 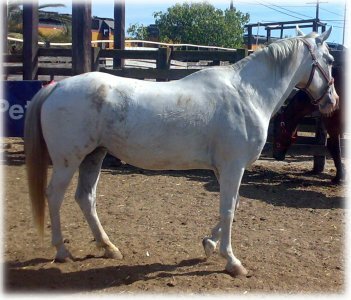 A white mare that we rescued today has an amazing story with us. We first came in contact with her in September of 2004 when Sheriff dispatch called us up on a Saturday morning to get some loose horses that were wondering around the woods near Hwy 70 in Quincy. In a flash we were out and on the road, in the end we had to 4 wheel drive down crazy abandoned logging trails with our horse trailer. In the end we managed to track down and rescue the 3 horses that were loose before they were hit on Hwy 70. This mare was one of them. All three were returned to their owner and we hoped we wouldn’t have to rescue them again. We were wrong. 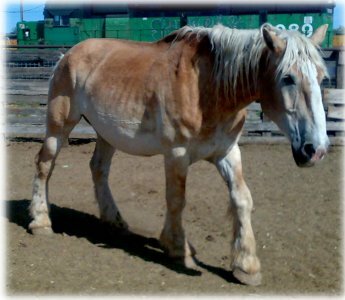 This mare we next saw almost a year later at Roseville Livestock Auction. Her owner was selling her and Tawnee was determined to rescue her that time. Unfortunate she bid up much higher than our limited budget would allow, but we knew at least she was not going for meat. It has been about 2 years later, and today while Tawnee was at the auction watching horses be unloaded, she saw this mare get unloaded and immediately recognized her. Tawnee was glued to her and wanted to ensure that she would make it into the rescue this time. She purchased her before she was sent through the auction. This really made Tawnee’s day! This mare who we named Snow back in 2004 is now named Lily, so we’ll keep it Lily since that is the name she knows. 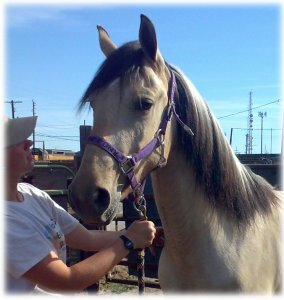 Lily (aka Snow) was the 29th horse that came in to our rescue, and now she is back at NER # 631! Her lost and found NER # was 131. It is so amazing to have a horse that touched our lives at the beginning of our organization come back into our organization after so many years. 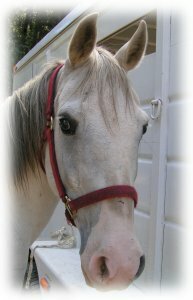 Here is Lily (aka Snow) in 2004, a face that Tawnee would never forget, even though she was over 500 horses later. It’s been a huge day, but so widly succesful in so many ways! Thank you each and everyone that has made our rescue a success. Thank you for sharing your rescue story. We are a part of a rescue in Florida. My daughter and I have had the same kind of life changing moments taking care of these grateful horses!I wish we had $$ to donate, all we can offer are prayers and encouraging words.